A snowy winter is creeping up on us. The first day of the Winter Solstice was Sunday, December 21st. It is easy to ignore the oncoming snowstorms during the holidays, but you have a feeling you should protect the exterior of your house. Did you know if the fence is built professionally, preventative maintenance on your fence is not necessary? Here’s why. Don’t worry about the weight. Professional fence installation requires permits and attention to detail. At Hercules Fence, we build each fence to be sturdy and safe. Your fence can withstand a few feet of snow. Plus, snow is stationary so consider it a dead load. A wood fence is constructed with pressure treated wood and will not rot. In fact, we encourage you to spray the hose on it during the summer months as heat is more damaging than snow. That being said, you do not have to remove snow from around a fence to protect the wood. If you would like exercise, make sure you use a plastic shovel as a metal one can damage the wood. Otherwise, you can stay inside with your hot cup of cocoa and watch the snow settle on the ground. 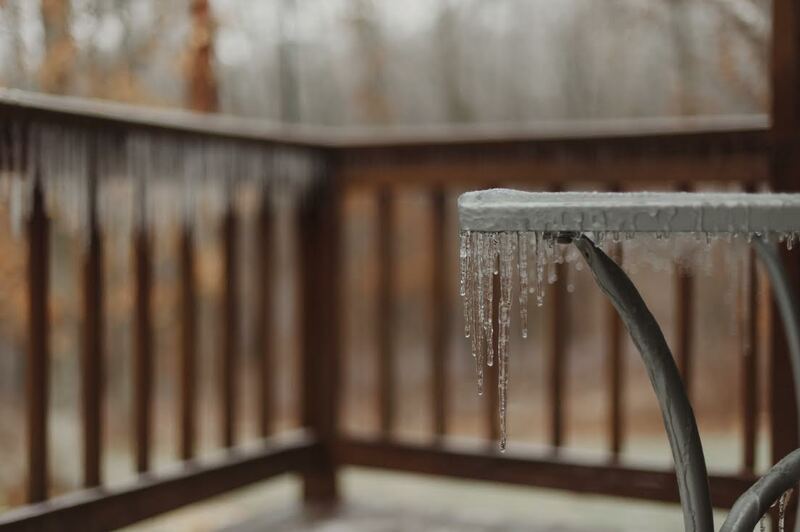 Rock salt can damage a wood fence, making the wood dry or staining composites white. Do not pick at the ice either: that can put dents in your fence and affect the clean appearance when the snow melts. The best way to keep your fence spotless is to use calcium chloride which is better for the environment. Make sure that the chemical dissolves completely. For more than 50 years, Hercules Fence has been providing exceptional fence and fence services to the people of Northern Virginia and the surrounding area. Over the years, we have developed a reputation for professional service and quality installation. Our experienced sales and installation staff can handle any of your fencing needs. If you have any questions about Fence Installation in Manassas, the largest residential fence company in Northern Virginia, you can contact us today by calling (703) 551-2609 or visiting our website. Also, check out Hercules Fence of Manassas on Facebook, Twitter, Google+ and YouTube! This entry was posted on Friday, January 2nd, 2015 at 7:02 pm. Both comments and pings are currently closed.